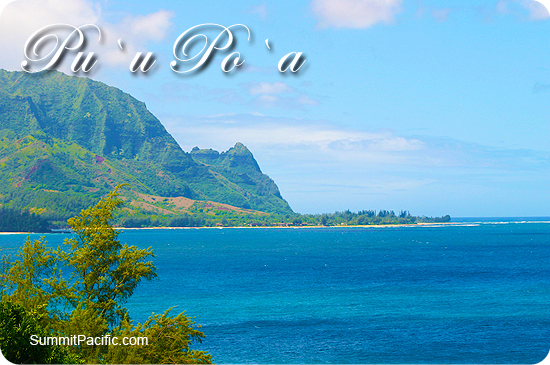 Puu Poa Condos | Owner Direct Savings! 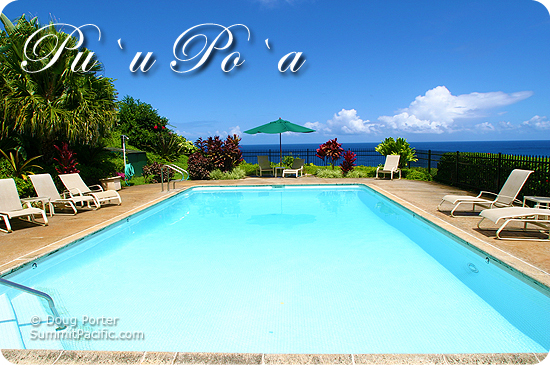 Pu'u Po'a ["pooh-ooh, poh-ah"] stands out among luxury Kauai resorts in terms of unique architecture, convenient location, and spacious privacy. 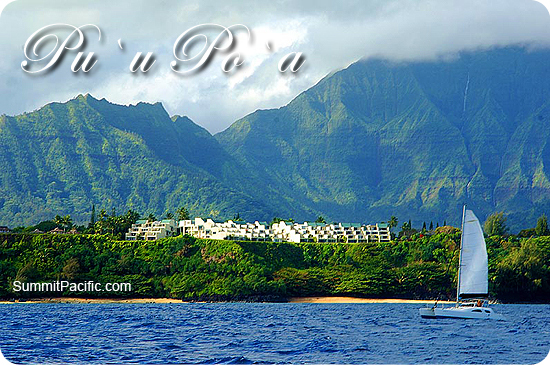 Situated on a north shore ocean bluff in Kauai, this masterpiece enjoys direct ocean views and the obvious advantage of being next door to the St. Regis Princeville Resort. 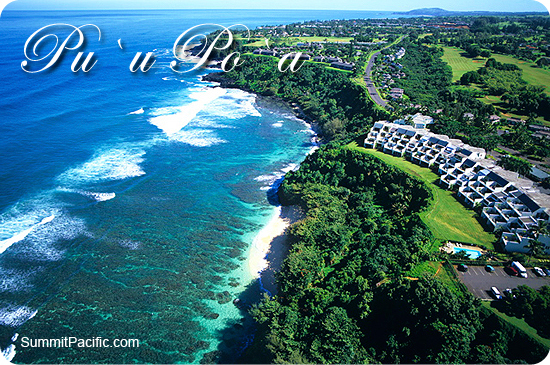 And just in case the fine dining, shops, salons and spectacular beach next door aren't enough, Puu Poa has its own tennis courts, oceanfront swimming pool/hot tub, and a spectacular beach of its own, hidden away from the hotel. It's evident that this development was designed as a regal retreat. Each of the 56 spacious units were designed to take advantage of the ocean view and still provide maximum privacy and comfort. This Luxury 2 bedroom condo on the ground floor is spacious, private, and beautiful. King Bed and 2 Twin Beds in Second Bedroom, this is perfect. This Luxury 2 bedroom condo has been owned by one family for 13 years as a luxury vacation home and has recently undergone extensive updating and remodeling. 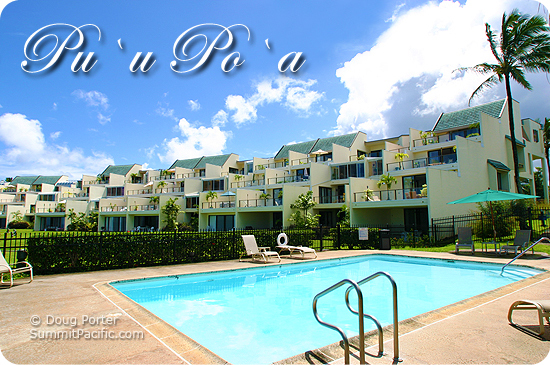 Unequaled views and a remodeled elegant, open and airy, bright interior making it unquestionably one of the best and most luxurious condos at Pu'u Poa. 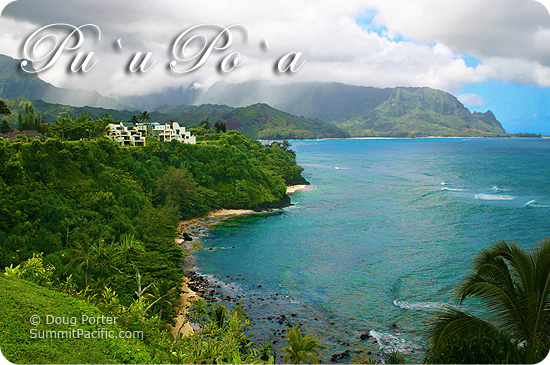 Ocean Sunrise Views and Sunset Views from this Luxury 2 Bedroom 2nd floor, condo available for vacation rentals in Princeville, Kauai. 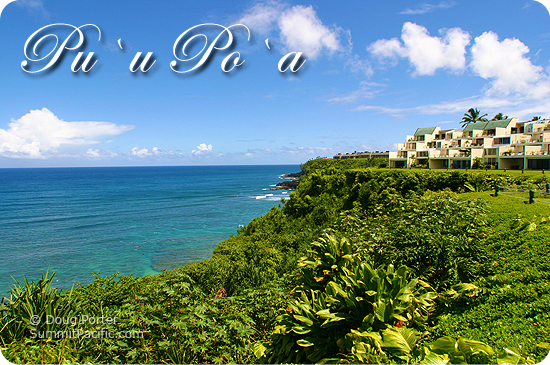 Oceanview Corner Condo with Beautiful Ocean Views that Sleeps 4. Crashing waves can be seen from the living room and master bedroom. 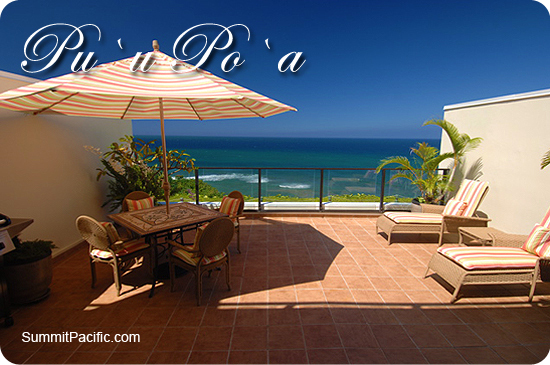 This gorgeous 2-bedroom / 2-bath condo features expansive ocean views with an open floor plan and room to relax. 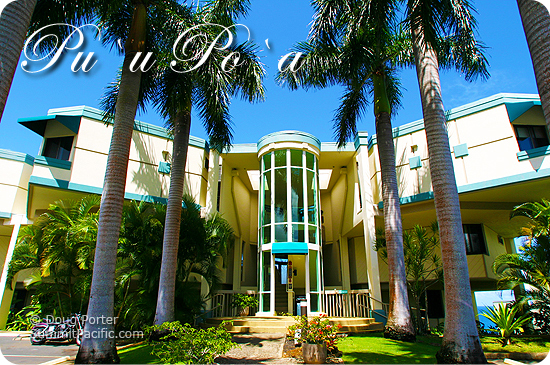 Newly remodeled throughout with high end design and a spacious spa like atmosphere this unit will bring luxury and decadence to your respite in paradise. 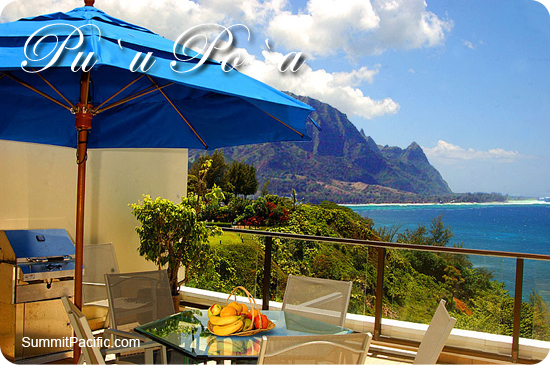 Bali Hai Views, Professionally decorated, Gourmet Kitchen. 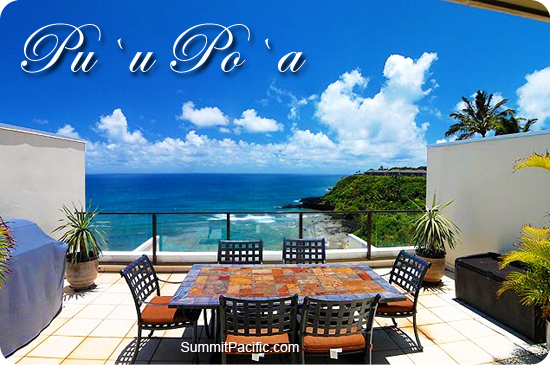 Top Floor - Spectacular oceanfront 2-bedroom penthouse overlooking the blue Pacific Ocean! Sleeps up to 6 guest in Style!